All of us who've owned Celestron SE and CPC fork mounts sooner or later wondered why they didn't have less image shift or better focusing or less image dancing when you try focus.Sometimes you recall the one that did not have so much of these normal characteristics. Maybe you've looked into DIY improvement, there are several actually good ones for hose with the right tools and courage. Take the time to read through this thread on the restoration of a Questar 7. For those in a hurry or those not wishing to see what money can buy, a picture is worth many words. 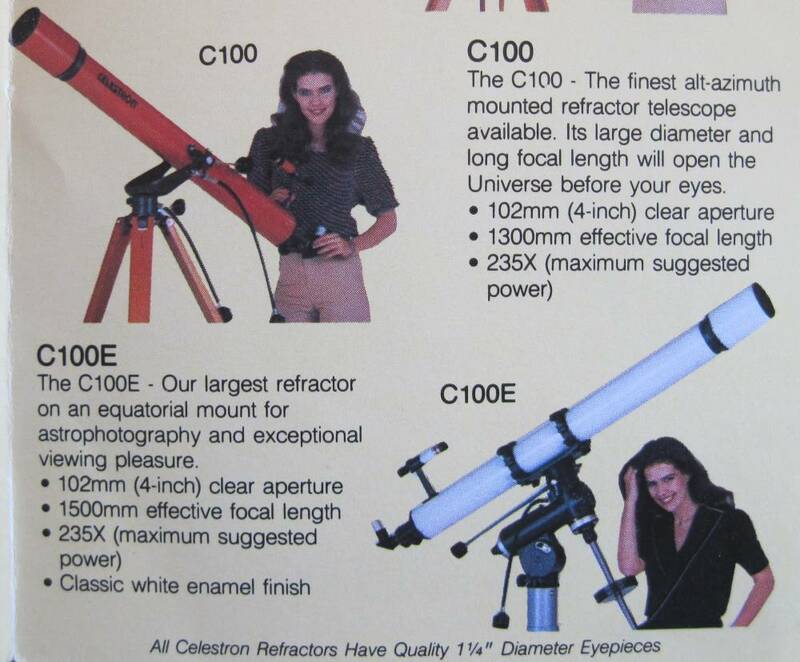 Note: I always wanted a Questar those adds in Scientific American were seductive, even without the Celestron girls. Wanting and affording alas lacked synchronicity, That aside the SE and CPC are a good value for the price. The 8SE is a bargain compared to the 7" Questar Lightweight Titanium at under $14,000 (mount and tripod extra). So in a sense we do get what we pay for. IMO the last sentence should be the first as it explains everything. The general population (not necessarily those on CN) look at the price FIRST and then the specs. the SCT was 6"or smaller. Mike I agree with you entierely. I might have titled the thread differently, but I won't change now. My intention was not to pose a literal or general question. When I was reading the Questar thread I was thinking of a CPC mount and the difference in mechanical complexity. The image of the mirror baffle sled with ball bearings makes a sharp comparison with the Celestron sleeve/moderate the play with grease design. Engineering to a price. (Synta) or pricing to the engineering(Questar). I think however that some CPC buyers and more of those who buy he Deluxe certainly might pay the price of an EP or two to get something that fixes image shift/flop along with a better focuser. Clearly Synta isn't throwing money at Celestron R and D, could be it does not see a market fundamental design improvements. Regardless there is a big price gap from what we have now to what we might want. Many (most?) here on CN are just as what-if wistfully wishful as anyone else. One of the most common topic starts is like e.g. "Seeking sharp rugged wide-field image-stabilized 20x Binos for under $100" Stuff like that. And the closely-related rants bemoaning when the cheapest mass-market gear doesn't perform to Strehl of at least 98%. As you say, must be human nature to buy the absolute cheapest and then demand caviar performance. All that said, there are few (rare) expensive things that are not that good... and some (rather rare) items that deliver surprisingly good performance at modest/moderate cost. Until Celestron came along the best fork an amateur could afford had to be homebuilt and was typically executed to the ability of the amateur. Look up split-fork amateur telescopes and you'll see what a small segment have been able to build because they have the time and talent. Mirror shift is only realisticly a problem for the astro imager, and even today it's not as huge comapred to the days of film. Now we have auto-focusers which can adjust between shots so 'mirror' shift is far less a worry than desiring adaptive optics. For $3000 you can buy an 11" CPC1100, to build even a simple cassegraine the mirror set for something near that size would eat up most all that money alone. The Nth degree of performance beyond 'acceptable' costs astronomical amounts... pun intended. There are maybe 1 out of 100 amateurs who can even come close to affording the CPC1100 let alone the Nth degree performance version. For $3500 an amateur can buy and LX200 ACF 10" and for $4700 an LX600 10" which will pretty much see more than the Questar and guide for AP like a rock. Most of us buy telescopes to give us as much access as we can afford to the night skies. The state of the fork mount (single or double) has overtaken the entry level (SE series and ETX) and the premium (L350 Planewave) so there is something for everyone.